Brooklyn holds vigil for murdered Black women | Fight Back! New York, NY - Almost 100 activists and community members gathered in Brooklyn on July 29 to mourn the murders of Black women. The vigil was held after the murder of Nia Wilson, who was recently stabbed to death by a white man in Oakland, California. 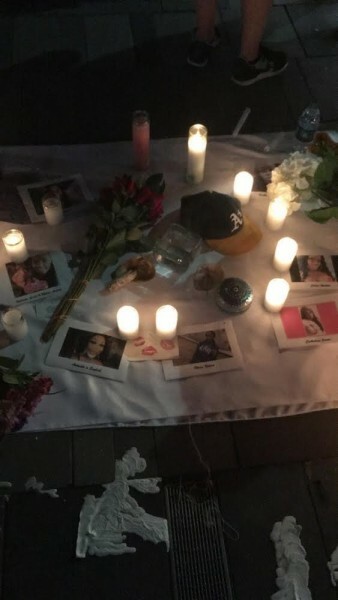 The vigil also brought attention to the violence that Black trans women face. Various speakers came up to talk about different issues relating to violence against Black women and gender non-conforming people. Zila Renfro from Gabriela NY addressed imperialism as the root of Black women’s and gender non-conforming people’s oppression in the U.S.
“Imperialism was built on the backs of our enslaved ancestors. We are being violently displaced, impoverished, murdered, just for being so that the dominance of those wealthy few at the top can continue,” said Renfro. Along with speeches, the event also included singing and altar offerings. The emcees read off the names of Black women wo have been killed, with the crowd chanting back “Say her name!” The night ended with an Assata Shakur chant. The vigil was organized by the Audre Lorde Project, Gabriela NY, Black Youth Project 100, and Sige.